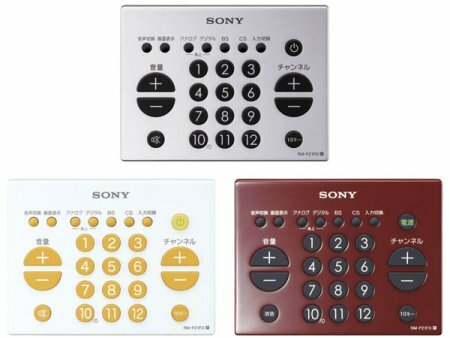 Sony seems to be testing the remote control market by offering the RM-PZ1FD, RM-PZ1SD, and RM-PZ1D that can all be dropped into the toilet bowl accidentally without any adverse effects. I still wonder why folks still bring the remote control to the loo while doing their business, perhaps it makes them more secure. Anyways, all three feature three infrared LEDs that offer a wider angle for you to use the remote control from. These new remote controls come in a variety of designs (three to be exact – is there something special about this number?) and are compatible with up to 15 different brands including Matsushita, JVC, Sharp, Toshiba, and of course, Sony. The recommended retail price has been set at approximately $21.